USAA is moving a little closer to understanding just how big a recovery it can make from ILS investors against the reinsurance provided by its Residential Re catastrophe bond series, now opting to repay $20m of the extended notes to investors, but still holding onto $150m more with a further extension of maturity. The US primary military mutual insurer has a number of catastrophe bonds in play that could face losses following the impacts of the 2017 hurricanes, the California wildfires and also winter storm Riley, both per-occurrence and aggregate structures. City and state officials in Texas are studying a possible partnership with private industry to create a new kind of bond to help pay for a $15 billion system of seawalls and floodgates. They’re examining the market for 'resilience bonds' that would both insure against flood damage and help fund construction of the 'Ike Dike'. Aspen Insurance has entered into a definitive agreement to be acquired by Apollo Global Management for an equity value of approximately $2.6 billion. The transaction is expected to close in the first half of 2019, subject to approvals. Upon completion, Aspen will be a privately held portfolio company of the Apollo Funds and Aspen’s ordinary shares will no longer be listed on the New York Stock Exchange. 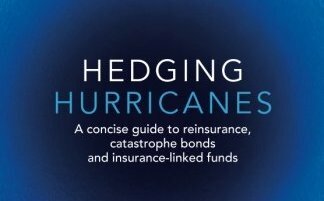 Ed Hochberg, chief executive of JLT Re in North America, says last year's trio of HIM hurricanes was a wake-up call to cedants to buy more reinsurance cover. "Buyers have seen how effectively reinsurers managed their own capital and made use of third-party capital," he said in a report. "Reinsurers’ balance sheets have never been stronger and counterparty risk is as low as it’s ever been. The traditional market functioned as it should, as did the insurance-linked securities (ILS) market, proving that alternative capital really is here to stay." As insured losses from wildfires continue to grow in California and elsewhere, demand for better information and modelling is rising, and catastrophe modellers are responding with new and updated products. Insured losses from wildfires have topped $1 billion thus far in 2018, according to Aon Benfield, after totalling about $14 billion in insured losses in 2017. AM Best does not anticipate significant decreases in policyholders’ surplus at any rated companies affected by Hurricane Lane, as the storm likely will be more of a flood event than a wind event. Because of the flooding, which buffeted Hawaii with rains that exceeded 50 inches in some parts of the island chain, the rating agency expects the storm to generate comprehensive claims for auto insurers as well. At the time of writing Hurricane Norman had intensified to a category 4 hurricane and was tracking west across the Pacific towards Hawaii and was expected to lose strength. Meanwhile Supertyphoon Jebi had intensified to a category 5 storm, tracking in a northwest direction towards Japan, where landfall as a category 3 typhoon is currently anticipated.